In China, the resources of Chinese herbal medicine are very rich. Experiments show that Chinese herbal medicine has a relatively small side effect compared with synthetic medicine, so it is widely praised. However, the main problem facing the Chinese herbal medicine market in China now is the quality of the medicinal materials. The Chinese herbal medicines processed by traditional Chinese medicinal materials can cause problems such as deterioration of sexual taste, loss of active ingredients of the medicines, and safety cannot be guaranteed. 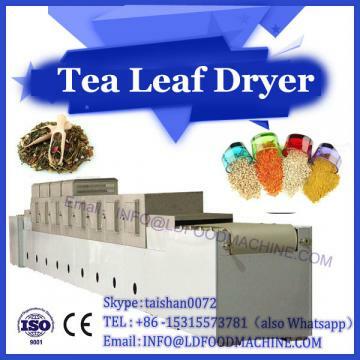 The medicinal material drying technology is available. The heat pump drying and microwave dryer are two widely used. They have fast drying efficiency, uniform drying, good product quality, and can be selectively heated. The reaction is sensitive and high. The advantages of thermal efficiency and other factors have gradually become the main method in the drying of Chinese herbal medicine. China is a country with a long history and vast land. The natural resources of Chinese herbal medicines are very rich. From ancient times, people have mastered the skills of using various Chinese herbal medicines. For example, some herbs can treat malaria. Birch bark has an analgesic effect, and these are Chinese herbal medicines that have been proven to have good curative effects. And through a large number of experiments, compared with synthetic drugs, the side effects of Chinese herbal medicines are much smaller than those of synthetic drugs. Therefore, traditional medicines, especially Chinese herbal medicines, are receiving more and more attention in Europe, Asia and America. It is also widely respected. Chinese herbal medicine has always occupied a very important position in international trade. Now China's Chinese herbal medicines have been sold in more than 130 countries and regions. By 2008, the total export sales of Chinese herbal medicines has reached more than 1.3 billion. Dollar. It fully illustrates the huge market prospects of Chinese herbal medicines in China, and the export trade of Chinese herbal medicines is also constantly expanding. However, in the face of such a good opportunity, the challenges are also coming one after another, and various problems have arisen in the treatment of Chinese herbal medicines. During the sales process. The biggest challenge is how to ensure that the Chinese herbal medicines sold have good quality. Quality problems have always been one of the problems in the sales of Chinese herbal medicines. The use of traditional dry processing methods for the treatment of Chinese herbal medicines often results in the deterioration of the taste of Chinese herbal medicines, the active ingredients of Chinese herbal medicines are relatively easy to lose and their safety is not guaranteed enough. This is currently in the Chinese herbal medicine market. Urgent problems. Nowadays, the quality requirements of Chinese herbal medicines are getting higher and higher in the international market. However, there are a series of problems in the production of Chinese herbal medicines in China. For example, the production and processing operations are not standardized, and the appearance of the products cannot be guaranteed. More active ingredients. 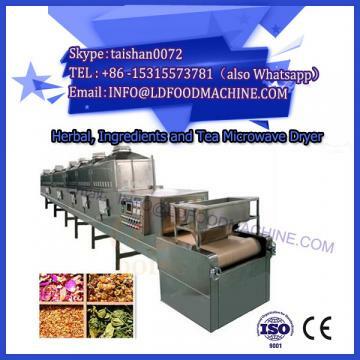 Therefore, through continuous research on the application of heat pump drying and microwave drying combined drying in the drying of Chinese herbal medicines, it is highly praised. 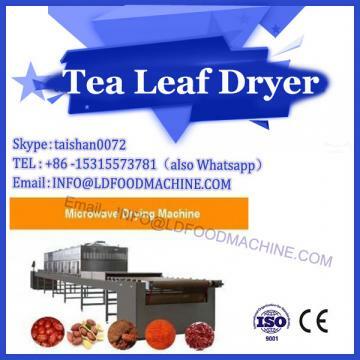 This method can effectively improve the drying speed and dry evenly, which can guarantee the quality of the products. When heating and drying, it can be selectively carried out, the reaction is sensitive and the thermal efficiency is relatively high, and it has gradually become the mainstream method in the drying application of Chinese medicinal materials.